AISI 304 stainless steel equipment. In partnership with AIR LIQUIDE. 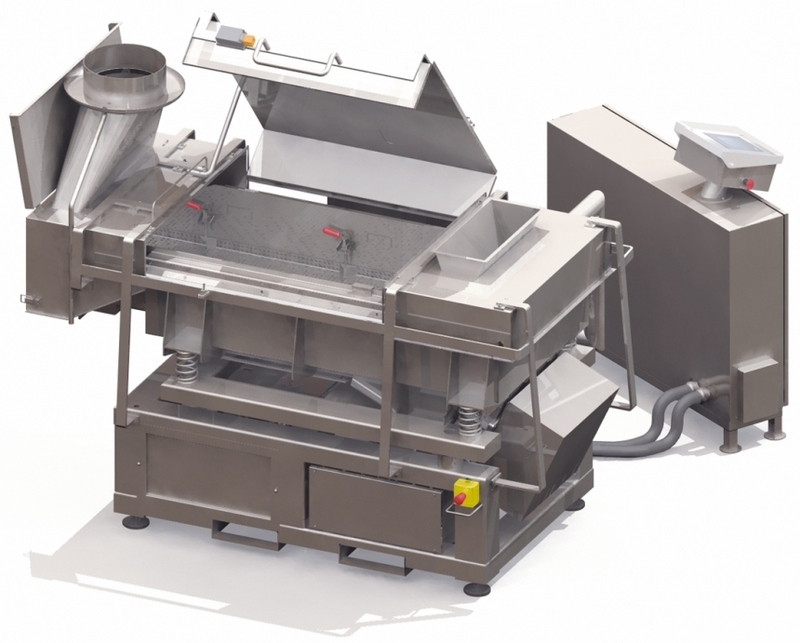 The Cryo immersion unit - CFV allows continuous freezing of small fragile foods such as rice, ready-to-eat frozen foods or individual foods including grated cheese, fruit, vegetables, meat granules, lardons, minced meat, diced, chopped or sliced ham, etc. Operation varies between 300 and 2000 kg/hour depending on product properties all within a footprint of under 3m². The process consists of immersing the product in liquid nitrogen contained in a vibrating trough. This ensures fast product processing and prevents sticking (IQF).